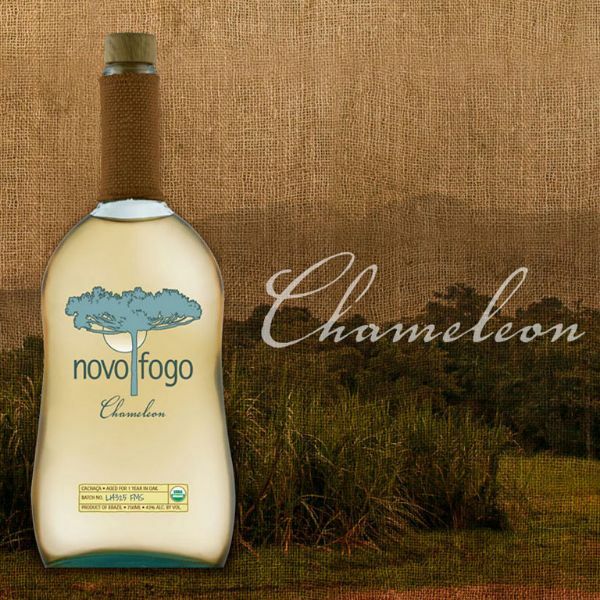 Our “Chameleon” expression marries the savory identity of our silver cachaca with vanilla notes of our oak-kissed barrel aged edition. It’s aged for one year in re-purposed American oak barrels, just long enough to reach a mixability peak without losing its rainforest and sugarcane funk. A hazelnut nose continues with sweet and spicy herbs in the palate and finished with lively citrus. From tiki drinks to stirred aperitifs, this versatile cachaça is the bartender’s friend.